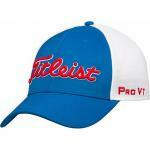 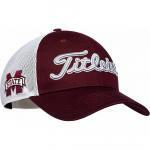 For easy style and comfort on the course, these Titleist golf hats are the perfect go-to accessory for any golfer. 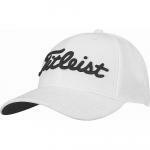 Titleist Tour Snapback Mesh Adjustable Golf Hats feature mesh paneling and moisture wicking properties for breathability and comfort during those sweltering golf days. 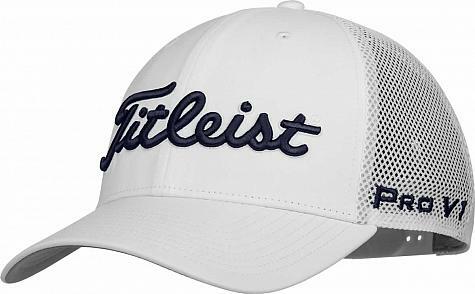 The right side of the hat features the FJ logo embroidered in the color of the Titleist lettering. 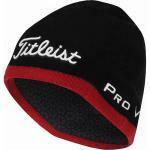 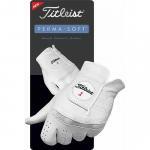 The left side has the Pro V1 logo also in the color of the Titleist lettering. 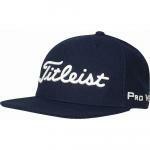 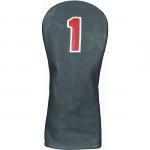 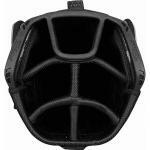 The back is embroidered with Titleist's block logo above the back opening. 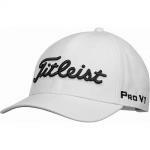 These great golf hats are designed with 97% Polyester, 3% Spandex and come with an adjustable one size fits most construction.